If you’re into podcasts, you know there are thousands to choose from. It can be overwhelming to find the best ones. And how do know which podcasts are the best? Reviews? Ratings? Recommendations? I’ve been listening to podcasts for years and I’ve listened to the good and the bad. I could put together a list of the top 100, but I’ll save your time. Why subscribe to hundreds of podcasts when there are plenty of old episodes to go through? Sure, you can set an automatic transfer from your checking to your savings each month, but with that you still have to set the transfer amount. With Digit, you don’t even have to do that. It’s an intelligent service that not only saves your money automatically, but it determines how much to save by how much you can afford. You literally just link your account and forget about it. Digit does all the work for you. 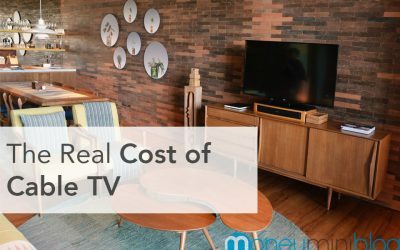 How much do you pay for cable? It might be more than you think. When my wife and I first figured out we would be making the 20+ hour drive from the mid-west to the Amish country of Lancaster County, we decided that this was going to be our most productive road trip ever. We knew that the more things we could do along the way, the more productive the trip would be and the easier it would be for us to make the drive, especially the trek that seems like a million miles across Tennessee and Virginia. Dollar stores are interesting because they make their money by charging a dollar for everything. So that means things that are typically $2 or $3 are only a dollar at the dollar store. That also means some things that are typically 50 cents are also a dollar at the dollar store. Then there are stores like Dollar General, which isn’t really a dollar store at all, if you’re going off the “everything’s a dollar” idea. I suppose Dollar General just means everything is generally…close to a dollar, which is more accurate, but still a little shady if you ask me. I want to be clear that this list is talking about dollar stores where everything is actually…*drum roll please*…a dollar. Dollar stores can save you money, but if you use them for all your shopping, you may be wasting some money. Also, it’s worth noting that some dollar stores accept coupons and that can be quite lucrative, so check into that with your local stores. A couple weeks ago I wrote about the most important element of your productivity. I talked about how energy is the foundation of your productivity. Without energy, you’re not going to do much at all. Exercise is a big part of that. But a bigger piece of the energy puzzle is your diet. How are your eating habits? Do they promote energy or diminish it? If you want to adopt a healthier lifestyle and start eating better, I’ve got good news! It doesn’t have to be difficult and torturous. It’s actually quite simple. If you take it slowly. I’m sure you know you should always read your insurance polices carefully. Insurance companies like to make you think they are offering more coverage than they are. They also like to distract you from reading the fine print. In fact, some insurance companies can completely drop your coverage just because you use it. That’s right, in certain states, insurance companies are allowed to drop you if you file a certain amount of claims within a certain time period. In several streets, you only have to make two claims before they can decide that you’re not worth it and drop you. Those are all great reasons to watch your insurance company like a hawk, but we’re actually not here today to talk about insurance companies. Yes, be aware of all of those things, but there’s something else you need to be aware of and pay attention to: your health insurance. When the calendar turns to a new year, it’s time to start thinking about doing your taxes. Many people procrastinate on this process, waiting until close to the April 15th deadline to get going. There are many reasons why it’s a bad idea to wait to file. The smart people get going as soon as possible, and they reap the rewards of early filing. 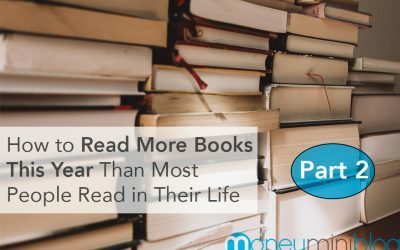 Now for the next list of 75 best books! A resume is essentially a document for selling your skills and work experience. However, if you directly jump to the work experience section from your name and contact information, recruiters will lose interest in your profile and it will leave a bad impact. Therefore, it is necessary to come up with a good introduction for a resume or CV (Curricula Vitae). We all know the importance of the competencies and work experience section for a resume. But do we ever place the same importance on writing a good introduction? The answer is usually no. This is one of the reasons why even a well written resume and a deserving candidate get no response from the recruiter. I’ve read articles, books, guides…pretty much anything you can think of, but I’ve noticed there’s something that gets skipped over a lot. This is probably the most important part of productivity, yet it’s usually mentioned in a sentence or two and then forgotten. From Warren Buffett to Oprah Winfrey, there are some common traits in the habits of the richest people in the world. And I’m not talking about the habit of inheriting a lot of money. That seems to be one of the main reasons people think they can’t become wealthy. They think that the rich come from rich families and they never had to work for anything in their life. Not true. At all. In fact, most of the richest people either work or have worked harder than any of us and that’s exactly why they are where they are. As you’re about to see, 68% of the 400 Americans on the Forbes 2013 “billionaires list” are considered “self-made” billionaires. Meaning they built, rather than inherited their fortune. That doesn’t really tie in to the belief that the rich didn’t work for their money. Of course, as we all know, the point is to make your money work for you, but sometimes that takes work in itself! It is a sad thing to consider, but not all that uncommon. Sometimes a homeowner with a mortgage will die before the mortgage has been completely paid off. Since mortgages can last 20, 30, even 40 or more years, a lot can happen to a person between the time they start and the time it finishes. Do you have “your” chair? Your favorite spot? If you’re a freelance worker of any stripe — writer, consultant, artist, contractor — you’re likely in the habit of keeping a close eye on your finances. Sure, there are basic bits of advice that are good tips for anyone: Make and adhere to a budget (or not)! Diversify your assets! Steer clear of Whole Foods! Personally, I ran into major trouble the first year I filed my taxes as an independent contractor. I felt intimidated by the level of organization required. Not to mention the jargon. “Schedule C?” “Pension distributions?” Uhhh…I’m a 25-year-old child over here, okay? Doing my taxes was a breeze as a “regular” employee. Fill in the blanks, a couple quick calculations, stick a stamp on it: done. I learned I wasn’t alone (90% of taxpayers need help when the season rolls around). More importantly, I realized everyone has to start somewhere. Let me guess. You have a to-do list and you add to it everyday. You promptly go through each item and check it off, one after one. By the end of the day, your list is completely empty and awaiting whatever tasks tomorrow holds. Since you’re here, reading this article, I assume that it doesn’t go so smoothly. It doesn’t go so smoothly for me either. You are constantly adding to your list and occasionally checking something off. Enough is enough. When your to-do list is so full that you forget about things at the bottom, it’s time to change something. What increases productivity? Organization? Daily rituals? Coffee? 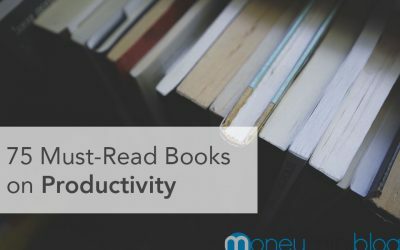 There are a number of things that increase productivity and even more articles out there with life hacks and productivity hacks. ​A friend of mine told me about a business opportunity. A superstore filled with every product you could imagine. But there was a difference. This website would pay you to shop there. It was like a loyalty program that actually paid you cash money to shop at their store. When you’re trying to get good at something, always learn from the best. 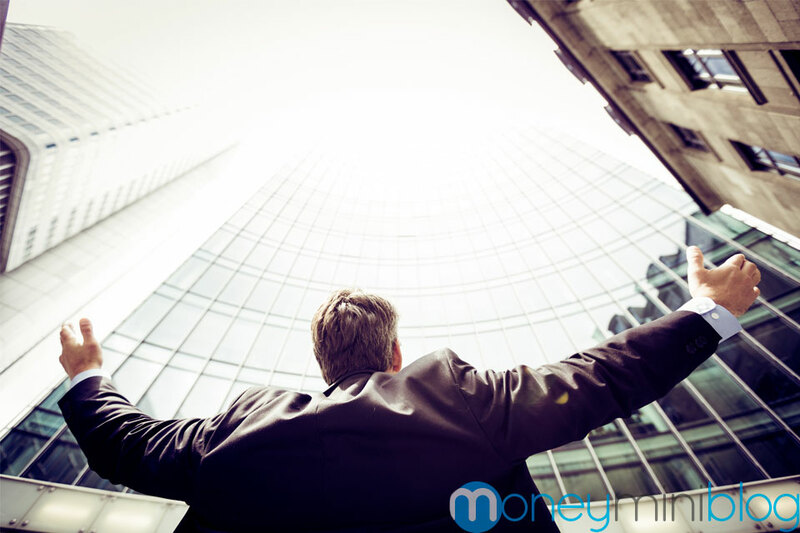 Whether you’re just getting started with investing your money or are already a well-seasoned and sophisticated investor, you could always do with a few lessons taught by some of the best of the best in the financial world. When most people start investing, their journey often begins with reading up about Warren Buffett. Buffett’s compounded annual return of about 20% over the course of his 50-year career, as Berkshire Hathaway’s chairman, is the stuff of legends. But he isn’t the only one on the rich list who has made his fortune solely off the back of investments made over the years. There’s a growing number of hedge fund managers whose talents have not only made them enormously wealthy, but also landed them on the prestigious Forbes Rich List. Many of these managers are billionaires and their investment styles vary greatly from the long-term value investing mantra of Buffett. When my wife and I first got married, I was lazy…I mean really lazy. It wasn’t just that I didn’t wash dishes or do laundry…I didn’t even take my dishes to the kitchen and my laundry piled up on my floor. It wasn’t that I was busy, I was just lazy. You know the drill: TV, video games, internet, repeat. Now, I work full time for the military, run 15 miles per week, lift weights 5 hours per week, write for an hour each day and still manage to help my wife with the dishes and the laundry. Did I mention we are a family of 6 and family time is also very important to us? ​​Heart disease is a killer. So is type 2 diabetes. Anyone can get these diseases, but you can greatly reduce your chances by eating a healthy diet. So then why don’t we all eat healthy meals every day? Well first off, because fatty, ​processed, high-carb​ food tastes great, despite how it makes you feel. 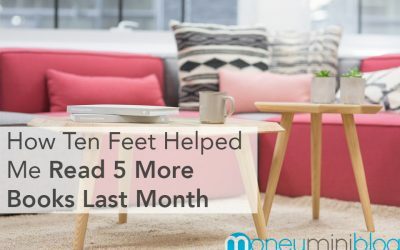 ​Our family of 6 spends less than $400 on groceries each month​. It wasn’t always like this, it takes strategy and planning. ​Every time I read about creating new habits, the term “daily habits” always pops up. “You must do this habit every day to make it stick”​. “Your new habit should be a daily practice“. ​I always had the question: “Does that really mean every single day?” Even weekends and holidays? I’ve finally figured out the best way to approach new “daily habits”. Nearly half of Americans make New Year’s resolutions, but only 8 percent of us keep our promises, according to a survey by the University of Scranton. Top reasons (excuses) include lack of money, lack of opportunity and – almost everyone’s sticking point – lack of time. Reading is one of the main ways we grow and learn. Do you want to figure out one of the key to happiness and overcoming life’s crap? Stop taking yourself so seriously. I’m serious. If you’re serious about your goals and your dreams, it will serve you well to relax a little. I’m not telling you to lose your discipline or stop pouring yourself into your life. What I am telling you is that it’s ok to have fun.